April 2019: Former group member Alison Good and Mike are co-authors on a paper published in the journal Algal Research! March 2019: Kim Farrar presented her senior seminar titled “Trace Analysis of Wine from 6000 BC” on March 1, 2019. January 2019: Mike was co-inventor on a recently awarded US patent (INTEGRATED CIRCUIT (IC) CHIP WITH A SELF-CONTAINED FLUID SENSOR AND METHOD OF MAKING THE CHIP). November 2018: A $3 million dollar gold potato - enough to fund this research group for 6 months? This team pulled off The Heist of the century at Boise Escape. Talk about team work! The escape room was totally awesome! Special thanks to Hayden for a great experience. We'll be back next year for another caper. Lady cat burglars for the win! September 2018: We updated the website to include a new group photo and new group member bios! July 2018: Former group member Alison Good was hired as an Environmental Coordinator at Lehigh Hanson. Congratulations, Alison! July 2018: Mike and Phillip Hammer (M.S., 2017; 2016-2017 NASA Earth and Space Science Fellow) published a paper titled, “Radiolysis of solid-state nitrogen heterocycles provides clues to their abundance in the early solar system” in the International Journal of Astrobiology. The team also included researchers from the Earth-Life Science Institute and the Research Laboratory for Nuclear Reactors, both at the Tokyo Institute of Technology. May 2018: Areli Castro and Hannah Davis graduated with their B.S. degrees in Chemistry! 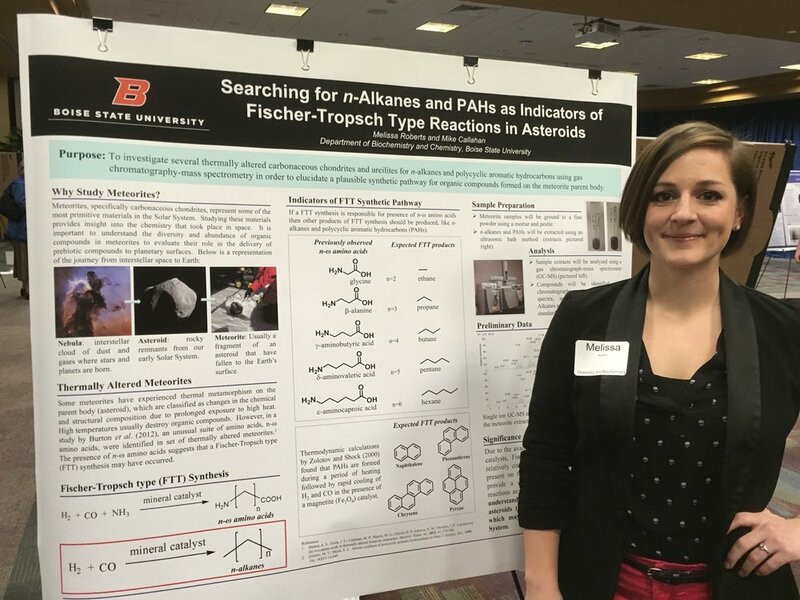 April 2018: Melissa and Patrick presented posters at the 2nd annual Graduate Student Showcase at Boise State University. Great job representing our group and research! April 2018: Rebekah Rozowski and Crystal Lundgren joined the research group! They will both start research in the fall. April 2018: Kim Farrar joined the research group. She will start research in the fall. Additionally, Kim was selected to be a Fall 2018 HERC Fellow. Great job, Kim! March 2018: Mike gave a research talk at the 2018 Lunar and Planetary Science Conference in The Woodlands, Texas (his abstract can be found here). He also served on his last meeting for the Meteorite Working Group (three years went by fast). Mike also got a chance to have lunch with a friend and colleague, Dr. Aaron Burton, and tour his lab at NASA Johnson Space Center. March 2018: Former group member Thomas Garrett was accepted to the Doctor of Pharmacy program at Idaho State University. Way to go, Thomas! March 2018: Areli Castro and Hannah Davis presented their senior seminars. Areli's talk was titled, "Developing an Analytical Method for Ancient Wine in Archaeological Samples" and Hannah’s talk was titled, “Making Sense of Messy Meteorite Mass Spectra.” They both did a great job! January 2018: Mike was featured in the BSU Campus News Update for his NASA Laboratory Analysis of Returned Samples grant. January 2018: We updated the website to include a new group photo and new group member bios! November 2017: Mike and Karen are co-authors on a new paper in PNAS reporting the earliest evidence of winemaking in Georgia. They performed the crucial chemical analysis that led to the finding that ancient potsherds over 8,000 years old contained the chemical signatures of grape wine. This research received a lot of media coverage including stories from CNN, BBC News, Reuters, National Geographic, TIME, New York Times, US News & World Report, NPR, Washington Post, Newsweek, Daily Mail, The Guardian, International Business Times, Wine Spectator, and many others. September 2017: You know it's a good day when they need a forklift to bring in new instruments into the lab. 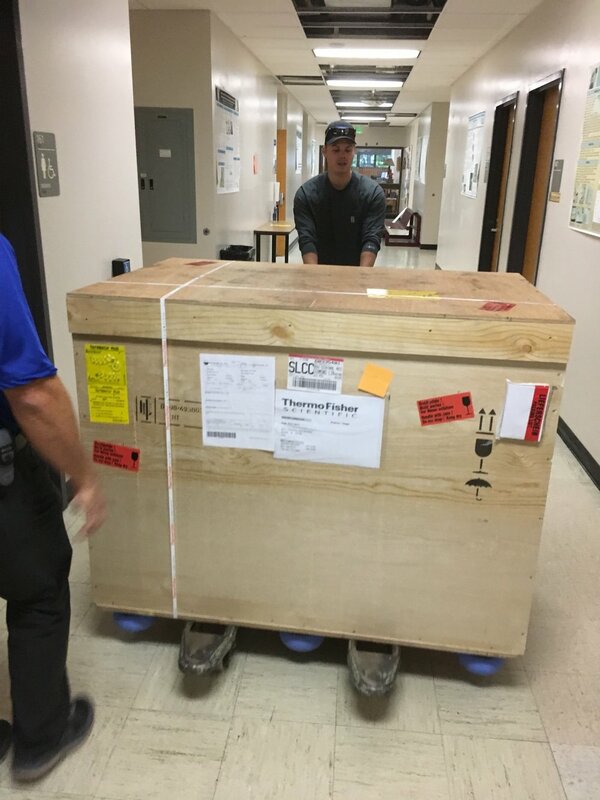 Our brand new Orbitrap mass spectrometer has arrived! August 2017: Patrick Schwartz joined the research group as a new M.S. graduate student. Melissa Roberts is also continuing on in the research group as a new M.S. graduate student. Areli Castro and Hannah Davis joined the research group as senior undergraduate student researchers. Photos and bios coming soon. 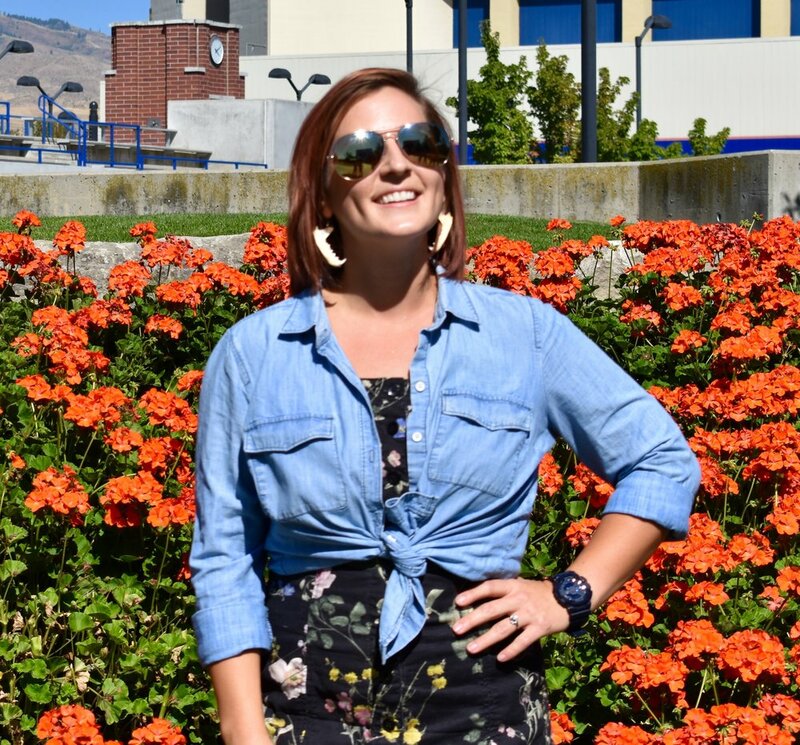 July 2017: Alison Good was hired as a Water Quality Technician for the City of Boise. June 2017: Phillip Hammer presented his final defense of his master's thesis research. His talk was titled, "Investigating Hydrothermal and Radiation Effects on Nitrogen Heterocycles Relevant to Meteorite Parent Bodies." May 2017: Melissa Roberts and Thomas Garrett graduated with their B.S. degrees in Chemistry! Congratulations to both Melissa and Thomas on their outstanding accomplishments! April 2017: We had our end-of-the-school-year FUN group meeting. The group went bowling at Big Al's in Meridian, Idaho. It was guys vs. girls. The guys' team consisted of PhillyWilly, PsychoMiko, and TomtheBomb. The girls' team consisted of Melbell, AllyWally, and HannaBobana. Mike bowled the high score of 160 (but the girls' team may have won overall). Mike rolls three strikes in a row! His final score is 160! The girls' team won (but that's a minor detail). April 2017: Phillip Hammer was accepted to seven Ph.D. programs! Phillip will attend the University of Nevada, Las Vegas to pursue a Radiochemistry Ph.D. starting Fall 2017. April 2017: Alison Good presented a research poster titled, "Lipid Analyses of Assembled and Naturally Occurring Algal Communities Cultivated in Agricultural Wastewater" at the 253rd American Chemical Society National Meeting in San Francisco, California. April 2017: Hanna Meinikheim and Phillip Hammer presented research posters at the first annual BSU Graduate Student Showcase. Hanna's poster was titled, "Data Analysis of Organic Residues in Ancient Askut Pottery." Phillip's poster was titled, "Thermal Studies of Ammonium Cyanide Reactions: A Model for Thermal Alteration of Prebiotic Compounds in Meteorite Parent Bodies." March/April 2017: Melissa Roberts and Thomas Garrett presented their senior seminars. Melissa's talk was titled, "Nitrogen Heterocycles and the pre-RNA World." Thomas's talk was titled, "Spontaneous Oligomerization of Hydroxymethylated Pyrimidines in Aqueous Solutions." March 2017: Phillip Hammer presented a research poster titled, "Thermal Studies of Ammonium Cyanide Reactions: A Model for Thermal Alteration of Prebiotic Compounds in Meteorite Parent Bodies" at the 48th Lunar and Planetary Science Conference in The Woodlands, Texas. The research involved a collaboration with Dr. Aaron Burton and Dr. Darren Locke at NASA Johnson Space Center. This research is supported by the NASA Earth and Space Science Fellowship. The abstract for Phillip's research poster can be found here. March 2017: Mike gave a talk to a group of middle school students for the Boise Teen Science Cafe at the Boise Public Library. The talk was entitled, "Unraveling Ancient History with Chemical Analysis." Melissa Roberts and Mike worked with students to perform paper chromatography on various candies and dyes as part of a hands-on activity to learn more about chemical analysis techniques. Students were also able to hold and smell ancient samples taken from a Bronze Age shipwreck. December 2016: Alison Good presented her senior seminar titled "Lipid Analysis of Assembled and Natural Microalgal Polycultures Cultivated in Agricultural Wastewater" on December 2, 2016. September 2016: Alison and Melissa were featured in a story in the BSU Campus News UPDATE for Mike's NASA Idaho Space Grant Consortium award. September 2016: Melissa is the recipient of the Idaho Space Grant Consortium (ISGC) Hands-on STEM Engagement grant and fellowship, which will bring the Idaho TECH Mars Rover Challenge to Boise. This is an engineering design challenge open to 4th-6th grade students. The students will be challenged to design, build, and test a Mars Rover capable of navigating five different courses using a Lego kit. The competition will be held at Boise State University in April 2017. More information about the competition can be found here. September 2016: During an interview with NASA Chief Scientist Ellen Stofan (the most senior science person at NASA), she highlighted our groundbreaking research on the building blocks of life in meteorites when discussing the NASA OSIRIS-REx mission. It's a short video and the research mention can be found at 45 seconds to 1:20 min. September 2016: Thomas Garrett, a senior undergraduate student, has joined the research group! September 2016: Mike is teaching CHEM 411/511 Analytical Chemistry II and CHEM 597 Special Topics in Mass Spectrometry this semester. Phillip Hammer with his samples near the gamma radiation source at the Tokyo Institute of Technology. August 2016: Phillip Hammer traveled to the Tokyo Institute of Technology to conduct research in support of Mike's EON Seed Grant. He spent three weeks in Japan setting up experiments and also attending a workshop on the history and philosophy of origins of life research. July 2016: Alison Good presented a poster at the 2016 Idaho Conference on Undergraduate Research (ICUR)! Alison Good presenting at the 2016 ICUR. Melissa Roberts presenting at the 2016 ICUR. July 2016: Melissa Roberts presented a poster at the 2016 Idaho Conference on Undergraduate Research (ICUR)! Mike Callahan at the Idaho Museum of Mining and Geology. July 2016: Mike gave an invited talk to the Idaho Museum of Mining and Geology. Special thanks to Steve Brittenham for setting up an amazing meteorite display to go along with Mike’s talk. The museum also has a meteorite exhibit worth checking out! June 2016: Mike gave an invited talk to students in the Summer Research Community. June 2016: Mike’s EON Seed Grant was a featured story on the BSU Campus News UPDATE as well as the Department of Chemistry & Biochemistry’s main website, Twitter, and Facebook pages. June 2016: Phillip Hammer’s NASA fellowship and research was a featured story on the BSU Campus News UPDATE as well as the Department of Chemistry & Biochemistry’s main website, Twitter, and Facebook pages. May 2016: Mike was selected for a NASA Idaho Space Grant Consortium (ISGC) Undergraduate Research Grant! He is principal investigator on a research project that will involve multiple BSU undergraduate students. May 2016: Phillip Hammer was selected for a NASA Earth and Space Science Fellowship (NESSF), a highly competitive and very prestigious fellowship! Congratulations, Phillip! May 2016: Mike gave an invited talk to the ACS Snake River Section. Lots of people attended! Melissa (front row, second from right) at NASA Johnson Space Center. April 2016: Melissa Roberts traveled to NASA Johnson Space Center as part of the 2015-2016 Microgravity Team at BSU. The team participated in a NASA program that challenged undergraduate students to design, build, and test a tool or device that addressed an authentic, current space exploration challenge. The team designed a float sample grabber, aptly named ZOIDBERG 2.0 (Zero-g Interplanetary Delivery Based ERgonomic Grabber). Melissa's role on the team was to plan and execute STEM outreach for the community. The team provided hands on STEM activities for over 2,000 kids in the Treasure Valley. April 2016: Hanna Meinikheim was awarded a Department of Chemistry & Biochemistry Graduate Student Summer Research Fellowship. Congratulations, Hanna! April 2016: Melissa Roberts presented a research poster at the BSU Undergraduate Research Conference. April 2016: Mike gave a talk for new and prospective students at BSU Bronco Day. April 2016: Mike was quoted in a news story in Chemical & Engineering News about how comets may have helped seed life on Earth. March 2016: Mike traveled to The Woodlands, Texas to serve on the Meteorite Working Group Spring 2016 meeting. He also presented a research poster and served as a volunteer judge for student posters at the Lunar and Planetary Science Conference. March 2016: Karen is first author (and Mike is a co-author) on a manuscript published in the journal Origins of Life and Evolution of Biospheres. The title of the paper is “Spontaneous Oligomerization of Nucleotide Alternatives in Aqueous Solutions” and appears online March 30, 2016. 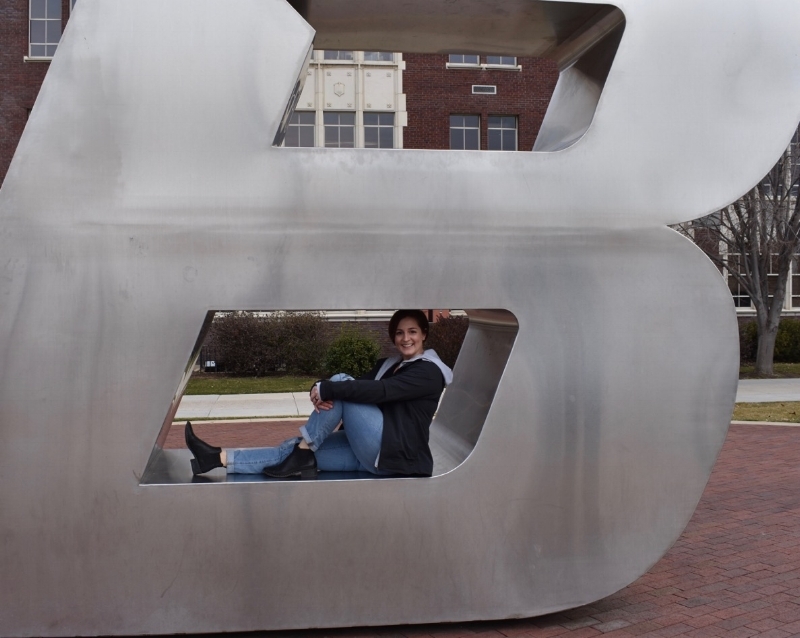 March 2016: Melissa Roberts was selected for a BSU Student Research Program Fellowship for Spring 2016. Congratulations, Melissa! February 2016: Mike was selected for an ELSI Origins Network (EON) Seed Grant! He is principal investigator on a research project that involves collaborators at Harvard University and the Tokyo Institute of Technology. February 2016: Mike gave an invited talk at BSU Aerospace Day. February 2016: Mike was featured in the Faculty Spotlight for the College of Arts & Sciences Student Newsletter. January 2016: Mike is teaching CHEM 412 Analytical Chemistry II Lab and the Chemistry Department Seminar Series this semester. January 2016: Mike is a co-author on a manuscript published in the journal Geochimica et Cosmochimica Acta. The title of the paper is “The origin of amino acids in lunar regolith samples” and appears in the January 1, 2016 issue. October 2015: Mike gave a talk for the Biomolecular Sciences Ph.D. Program Seminar Series. September 2015: Mike traveled to Washington, DC to serve on the Meteorite Working Group Fall 2015 meeting. September 2015: Mike gave a talk for the Department of Chemistry & Biochemistry Seminar Series. September 2015: Mike is teaching CHEM 411/511 Analytical Chemistry II and the Chemistry Department Seminar Series this semester. September 8, 2015: We are a new research group!